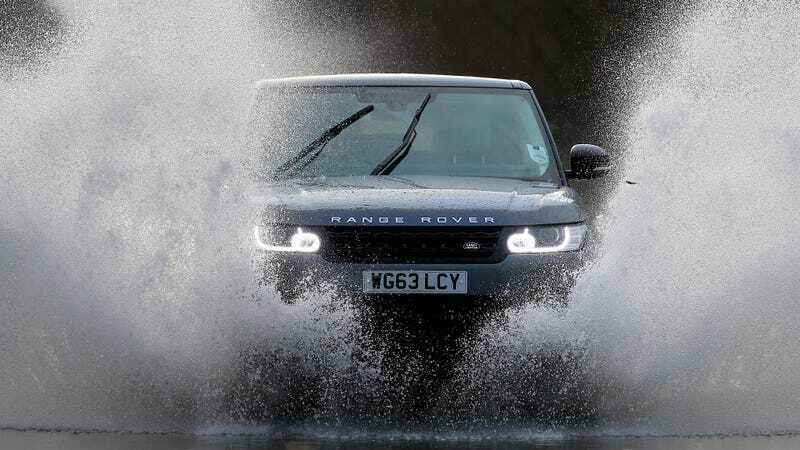 This might look like a Range Rover publicity shot, but it's just a shot of an ordinary driver beating the heavy floods that hit England last week. The shot was taken in Somerset near Taunton, England last Thursday. It wasn't the only Land Rover that managed to make it through the waters, as this other photo shows. Driving through flood waters isn't a safe thing to do, though I'd rather be in a Landie than, I dunno, a $160,000 Bentley.